FRONT COVER returns to Romania as part of Rise OUT special screenings at Caravana Serile Filmului Gay la Iași. After winning BEST FULL FEATURE at the SFG – Serile Filmului Gay International Film Festival / Gay Film Nights in November 2016. FRONT COVER is invited back to screen on February 15th at the German Cultural Center in Romania. 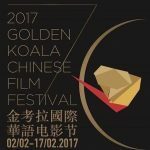 FRONT COVER is returning to Australia, as part of the 2017 Golden Koala Chinese Film Festival! Tickets are FREE by booking in advance on Eventbrite! 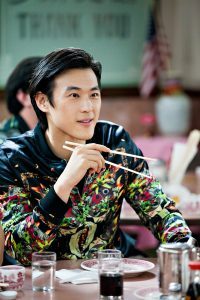 James Chen won the Best Actor award at the Golden Koala Chinese Film Festival 金考拉国际华语电影节 in Australia for his portrayal of Ning in FRONT COVER. Congratulations to James for his hardwork and dedication on bringing the character of Ning to life. We also want to thank James’ dialogue coach Beth McGuire for helping him speak with a perfect Beijing accent. James is actually US-born and bred! © 2016 NewVoice Production Inc. All Rights Reserved.